I remember this game as being a very exciting , nail-biter of a match. 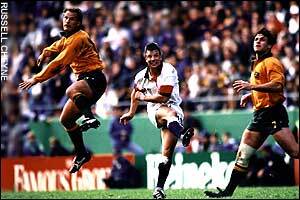 At full time they were locked at 22-22 and in injury time Rob Andrew struck a 45 m drop-goal that knocked Australia the then defending champions out of the cup. Tags: Carel du Plessis, Clive Woodward Andre Maakgraaf, Francois Steyn, Jannie de Beer, Jeremy Guscott, Joel Stransky, Johnny Wilkinson, Joost van der Westhuizen, Kitch Christie, Rob Andrew, Ronan O'Gara, Stephen Larkham, Thomas Castaignede, Zinzan Brooke | Permalink. 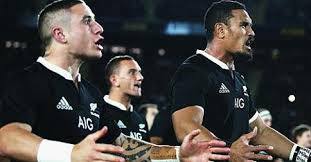 After a fabulous Autumn of cross hemisphere match ups the bottom line is the All Blacks are still the number one team in the world and the All Blacks are the team by which every other team is measured. 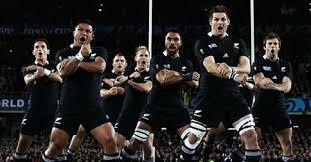 Tags: All Blacks, Dane Coles, Jeremy Thrush, Patrick Tuipulotu, Soldier Field | Permalink.